This is your opportunity to commemorate Timothy Richard in a unique way by supporting some of the most vulnerable children in the world today. This download explains how you can get involved and lists the resources available for the 2019/20 BUW appeal. 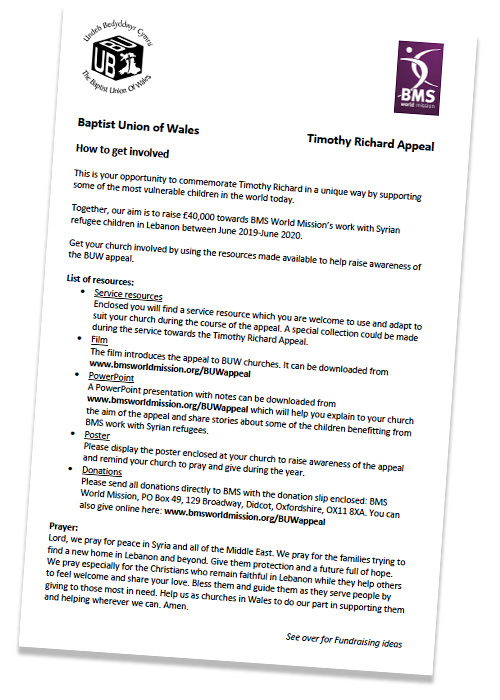 The purpose of this resource is to help your church to raise money for the Baptist Union of Wales 2019-2020 appeal for Syrian refugees in Lebanon. 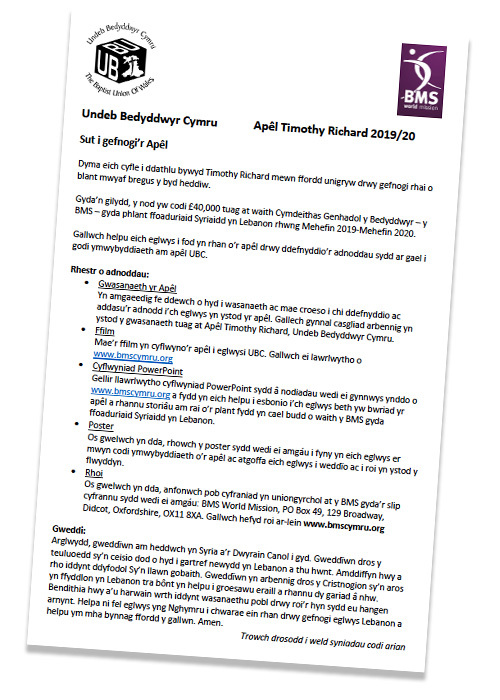 This appeal commemorates Timothy Richard, a missionary from Carmarthenshire who died a hundred years ago but whose legacy lives on in the work of BMS World Mission. The Birthday Scheme is a great way to get your church friends involved in supporting BMS World Mission’s health and medical ministries around the world. 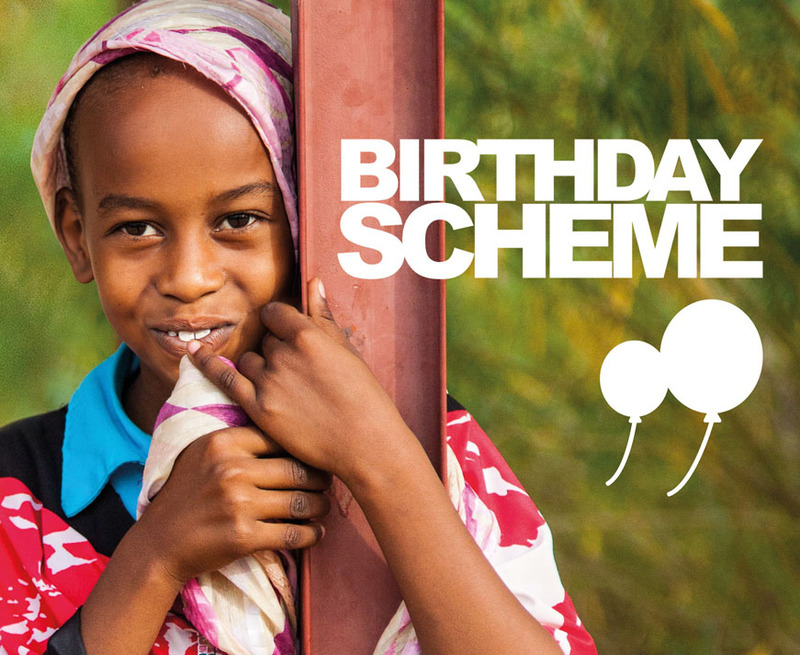 This information pack will explain how the Birthday Scheme works, what it achieves, and how you can best serve you Birthday Scheme members.